Great news from us again! We were excited to present our startup OrganicNet and to share our experience with entrepreneurs-to-be at one of the most prominent tech events in China. 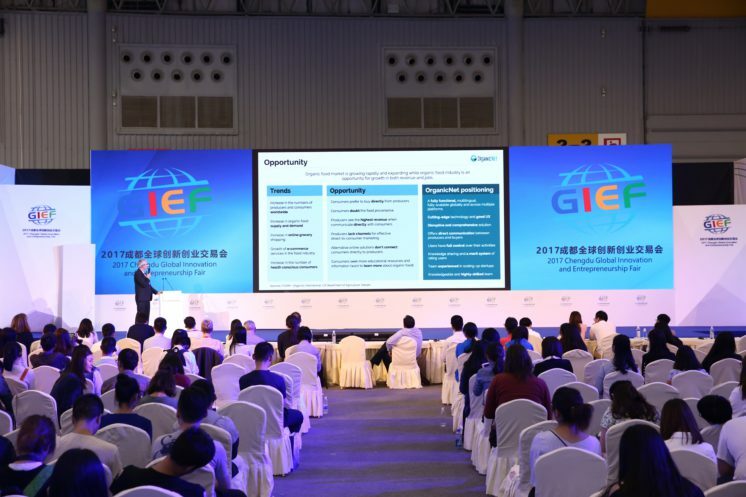 The Global Innovation and Entrepreneurship Fair 2017 in Chengdu is a conference and exhibition with a goal to connect startups and investors and attract entrepreneurs, talent and technology to the city. 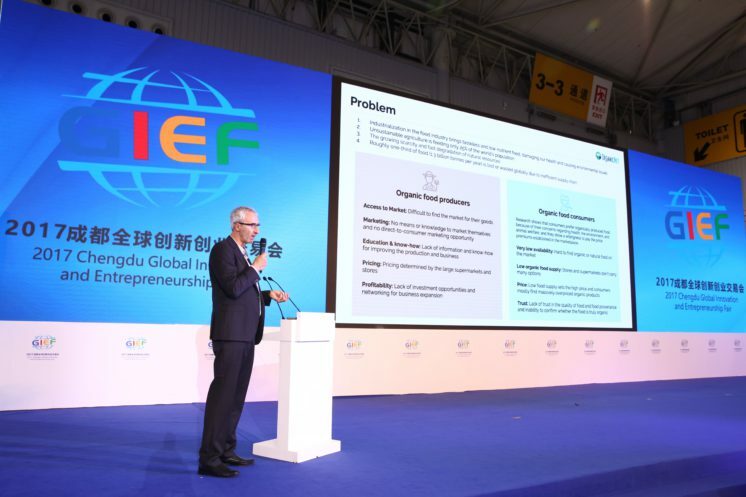 Chengdu hosted the first Global Innovation and Entrepreneurship Fair in November, in 2015 when more than 3,000 products and projects were showcased, and more that 300 companies participated in the event. Since then, the conference hosted representatives from the leaders in the IT industry, such as Intel, Google, Tesla, Microsoft, Facebook and more. The city is becoming an important economic center in China. It is awarded one of the Top 10 Chinese Cities for Startup by Fortune magazine, pushing to become China’s Silicon Valley. According to Global Daily, Chengdu is the most attractive Chinese city for investment. Experienced entrepreneurs from China, UK, America, Finland, Italy, South Korea, and Israel gathered to talk global trends of innovation and entrepreneurship. The event hosted world-famous higher education professionals, research and investment institutions, and top incubators. This year they organized a Global Youth Innovation Demo Day to empower the young to develop entrepreneurship spirit. As mentors we shared our experience, knowledge, tips and tricks with the next generation of Chinese entrepreneurs and startups. With over 20 years of experience in web and business, our founder has significant knowledge to share. Eton Digital was founded in 2015 and since then has been working on developing business and growth strategies for startups and small and mid-sized businesses. In 2016 we launched our own startup OrganicNet, putting into practice all we have learned about business development until now. It was challenging and exciting, given the fact that OrganicNet marketplace is growing fast. Interactive discussions on science and technology, and future trends took place three days. From intelligent software development, IoT for transportation, home, environment, agriculture and food, clean technology, health and medical technology to security and education – attendees had an opportunity to see the latest products and hear the latest trends. The event was both innovation fair an entrepreneurship conference and gathered many creative people together to talk the future of IT. We were honored to participate in the event and hope we’ll return the next year!